"While there's no denying that we have historically low interest rates and low home values right now, anyone considering buying a second home before they retire needs to run the numbers," says Kimberly Foss, president of Empyrion Wealth Management in Roseville, Calif. "People get stars in their eyes sometimes at the prospect of retirement, but the reality is that they may not be." "I recommend that people have 12 months' (worth) of expenses in the bank as an emergency fund," Foss says. "If they choose to buy another property, they will need extra money to cover those expenses, too." "Second-home financing means that you will need to qualify to pay the mortgage on both your current home and your second home," Cunningham says. "If you need some additional income to qualify for the loan, you can rent the property, and a lender will use some of your rental income for a loan approval." "Conventional loans are written off your income, and you have to prove you have the means to repay the loan," Cunningham says. "Income from a rental property can act as a hedge against the low interest rate environment we are in and against future inflation because you can raise the rent to offset inflation when it hits," Foss says. "Some people are deciding to buy now and leave the property empty for a while or to use a place as an occasional vacation home," Duck says. "Others decide to rent the property until they are ready to use it." "Many retirees want an urban- suburban location where they can walk to amenities and restaurants," Duck says. Foss says if you are 10 years or more away from retirement, you may want to opt to rent a vacation home for a month at a time to avoid getting stuck with a permanent decision about your retirement destination. "People change a lot between age 50 and 90, Foss says, "so I like the idea of keeping your options open and allowing for flexibility." 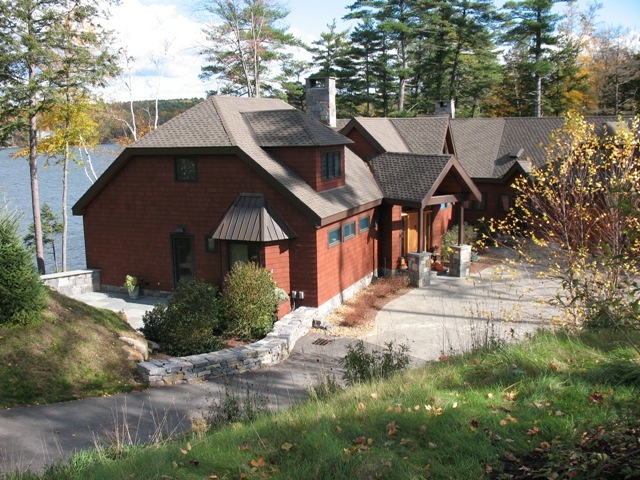 For additional information on NH second homes call Lady of the Lake Realty at 1-888-737-5550 or e-mail at info@nhlakesrealty.com or visit our website lake homes in New Hampshire at www.nhlakesrealty.com or www.lakeorskirealestate.com.